Five Years Later, The Big Easy Pushes Forward Much of New Orleans has been rebuilt since the hurricane swept through. And the city is attracting more young professionals than at any time in memory. But many of the problems exposed by Katrina remain, including crime, income inequality and reliance on struggling industries. Despite its charm and cultural richness, no one mistook New Orleans before the storm for an urban paradise. Many problems persist that were in evidence well before Katrina made landfall, including high crime rates, vast disparities in income and reliance on industries long in decline. A recent spate of mass layoffs among major employers hasn't helped matters. 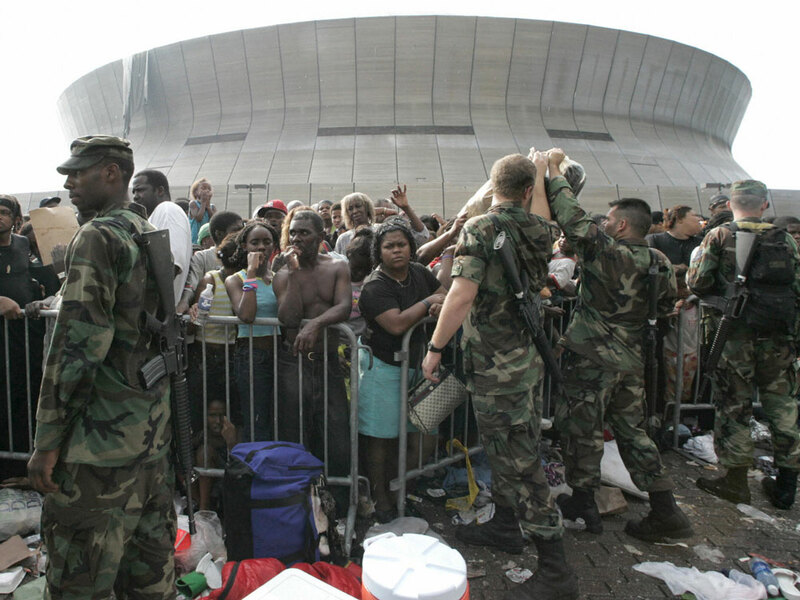 The Louisiana Superdome became a symbol of the government's failed response to the disaster created by Hurricane Katrina. But the city was cushioned from feeling the full effects of the latest recession by billions in federal aid. Schools have improved since a post-storm state takeover. There's been growth in areas such as biosciences, information technology and a film industry heavily underwritten by state tax credits. And, for the first time in anyone's memory, New Orleans has become a magnet for educated newcomers, attracting mostly younger professionals in areas such as law, teaching and the arts. The city has attracted hundreds of new teachers from out of town, as well as young professionals who are buying up condos in its warehouse district -- turning it into their playland on Friday nights. "If you look back at where the city was 4 1/2 or five years ago, it's astonishing that this city has come back to the extent it has," says Tom Piazza, a local novelist and author of the 2005 book Why New Orleans Matters. "I don't think there are many places in the country where you could have drowned 80 percent of the city and have it more full of restaurants, more full of music and home to the Super Bowl champs." Five years later, the Superdome is a symbol of another kind — the city's still-evolving rebirth and the NFL Saints' place as Super Bowl champions. On Monday, President Obama saluted the champion New Orleans Saints at the White House, saying the football team had helped "carry" the city through tough times. Their win has indeed turned into modern folklore in the city. The team won the NFL championship just four seasons after undergoing a nomadic existence because its home, the Louisiana Superdome, had been badly damaged and served as one of the darkest symbols of the storm and its aftermath. The Saints' victory, coupled with the election of a new mayor, Mitch Landrieu, gave many New Orleanians the sense that this past spring was a true season of rebirth and "exhilaration," as Piazza says. There's a widely shared sense in the city that the previous mayor, Ray Nagin, had promised much more than he was able to deliver. "There was a national perception that nothing was happening down there, that they're dysfunctional and doing nothing," says Amy Liu of the Brookings Institution, coauthor of a recent study about New Orleans' prospects. "That perception was created in part because Nagin was so ineffective and his poor leadership cast a shadow." 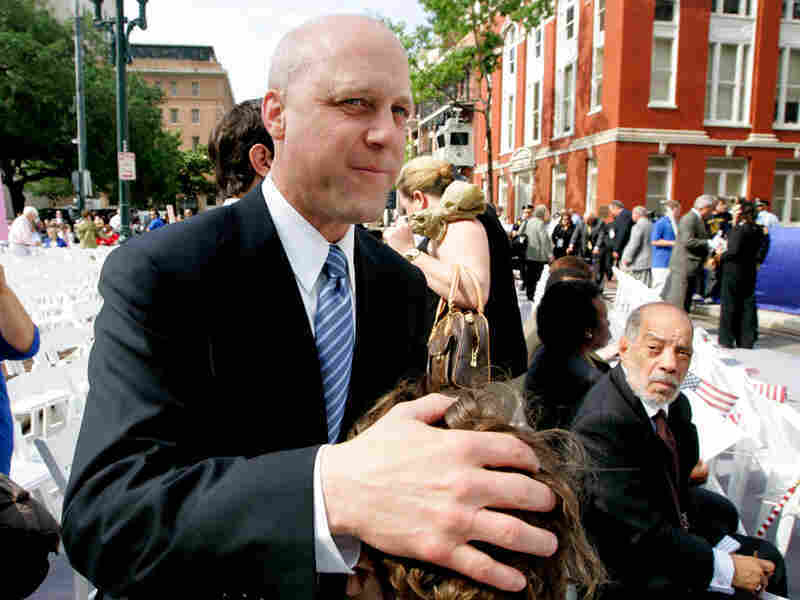 Landrieu, by contrast, has been quick out of the gate in getting development projects under way and addressing many of the city's chronic problems, such as a police force that is under federal scrutiny for past abuses. The City Council is likely in the coming weeks to approve a new zoning ordinance and its first new master plan since the 1970s, which will offer greater certainty for companies and developers, says Ben Johnson, managing director of the New Orleans Chamber of Commerce. In nearly every speech he gives, Landrieu acknowledges the city's problems -- those involved in rebuilding a city following an epic disaster, such as dealing with 50,000 blighted properties, as well as the chronic ones Katrina exposed and exacerbated. New Orleans faces new challenges after the BP oil spill in the Gulf of Mexico, which led to a moratorium on deep-water drilling that has set back the oil business. The spill also damaged wetlands that are the city's first line of defense against future storms. Northrop Grumman, Louisiana's largest manufacturing employer, announced last month that it would shutter its Louisiana shipyard. That's a loss of 5,000 jobs and follows the loss of more than 1,500 jobs due to reduced aerospace operations at Lockheed Martin's New Orleans facility. "The whole region is losing two of its major employers, which offered great entry-level jobs as well as upper-level management jobs with great benefits," says Johnson, the Chamber of Commerce official. Johnson stresses his hope that entrepreneurs in a variety of fields will be attracted by tax incentives, as well as by increased government investment in areas such as bioscience. That remains to be seen. Meanwhile, it's clear that the city's core industries are struggling. "The biggest economic functions for New Orleans -- oil and gas, shipping, shipbuilding -- all have been declining over the last 30 years and all have been made more vulnerable by the oil spill," Liu says. 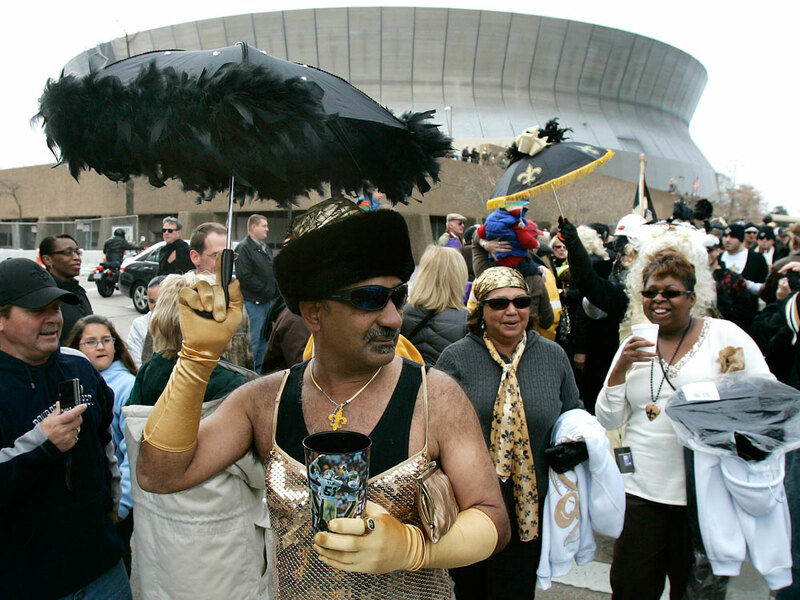 New Orleans is on track to welcome more visitors this year than any since the storm. But tourism is still below its 2004 high point. It now employs 70,000 people in the city -- 10,000 fewer than it did pre-Katrina. Overall, the metropolitan region is still down nearly 100,000 jobs from 2004 levels, a drop of about 16 percent. The city's population remains roughly 25 percent lower than it was before Katrina. "It's really very difficult to be optimistic about New Orleans going forward," says Loren C. Scott, an economic consultant in Baton Rouge. "If you're a firm trying to decide where to expand, and you can expand in North Carolina or Phoenix or New Orleans -- you know a lot of money has been spent on levees, but you might say, 'Shoot, why should I take that chance?' "
Aug. 23, 2005: National Hurricane Center issues an advisory about a tropical system over the Bahamas. Aug. 25: Katrina, as the storm is known, has strengthened. It's now a hurricane. Aug. 26: The National Hurricane Center warns that Katrina is "rapidly strengthening" as it crosses the Gulf of Mexico. Aug. 28: Katrina's winds are clocked at 145 miles an hour. It's a Category 4 storm; about 300 miles south of the Mississippi River. Aug. 29: The eye of the storm makes landfall about 40 miles east of New Orleans. Some levees in the city begin to break. But many people are taking a chance on New Orleans. "Young people have been coming ever since the storm," says Allison Plyer, Liu's co-author and the deputy director of the Greater New Orleans Community Data Center, a local nonprofit. "That is a new phenomenon for us. We've always struggled with brain drain and now we have people who want to come to the city." A 2008 survey by the Kaiser Family Foundation found that one out of every 10 city residents had moved there following the storm. An upcoming Kaiser survey shows that the percentage of newcomers has remained constant. As a group, the new residents are more likely than the city's population as a whole to be young (between the ages of 18 and 29), to rent and to have a college degree. The kinds of young professionals coming into New Orleans run the gamut, but many are teachers coming to work in the city's schools. Once among the worst in the country, they have done better -- if not great -- under state management, with a majority now run as charter schools. Teach for America says it has 430 "core volunteers" in the city -- among the most anywhere. In fact, with its experiments in education, criminal justice, land-use planning and housing, Plyer says, "New Orleanians have taken on more reform simultaneously than any modern American city." Plyer says residents have become deeply engaged with civic life through all the ups and downs of recovery planning. Not everyone is so sanguine. "There's greater energy in the city and people are being attracted to it and coming to it early in their career," says John Maginnis, editor of LaPolitics Weekly, a Baton Rouge newsletter. "But whether people stay well into their careers and raise families is doubtful for now." Behind every silver lining in New Orleans, a cloud seems to lurk. Every positive indicator is readily countered by bad news -- and vice versa. But, for an already poor city that was not just damaged but nearly destroyed by a catastrophic storm and the failure of many governmental and social institutions, the current batch of mixed results represents real progress. "I was there for the disaster and I really thought the city was finished," says Dan Baum, a journalist and author of the 2009 book Nine Lives: Death and Life in New Orleans. Now, he says, you have to go looking if you want to see storm damage. And the city has been largely rebuilt while keeping its essential character intact. "The people of New Orleans have put that city back together and in many ways improved it," he says. "That city was destroyed, and that city is alive now."